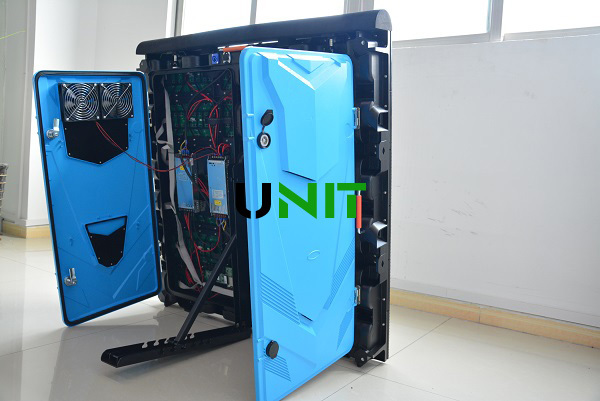 UNIT Latest Product Stadium LED display with sky blue color appearance in the back of the cabinet, and the performance is more better and more stable, the display color, image and video is more excellent and more realistic. 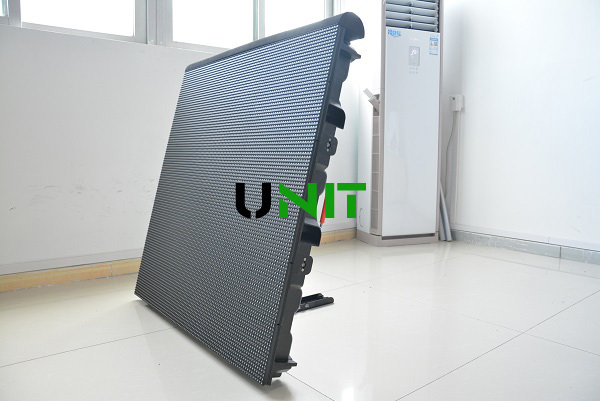 As the following video showed, UNIT latest stadium LED display adopts 960×960mm size design with uniform screw holes for standard size 320×160mm size LED display module, that is to say, UNIT stadium LED screen cabinet can be designed with Pixel Pitch P5mm, P6.67mm, P8mm and P10mm, the LED display is high brightness with ultra visual experience. 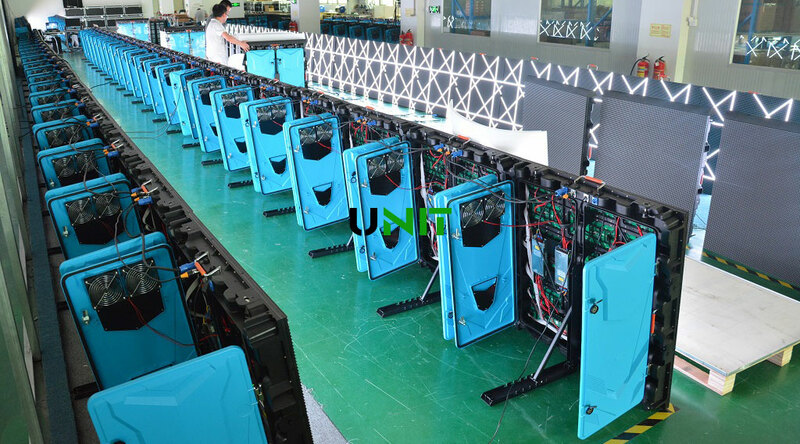 960×960mm cabinet design, can used for P5mm, P6.67, P8mm and P10mm standard size 320×160mm LED display panel with same screw hole and structure. 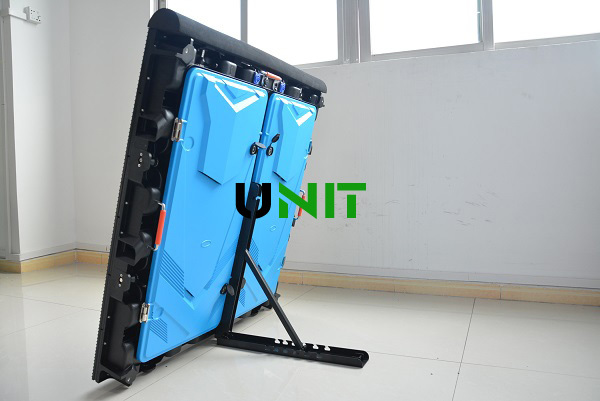 High safety, the LED display panel adapts soft module mask to protect LED display and players. 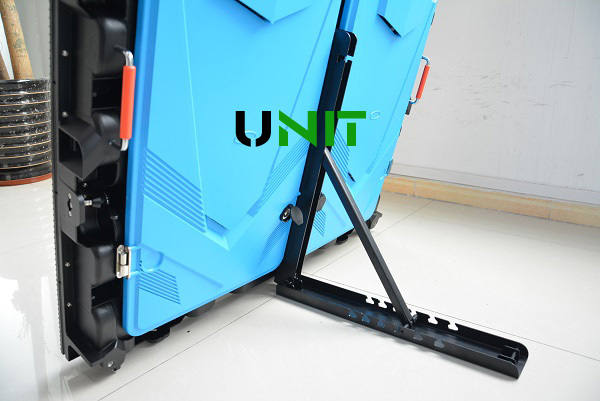 High Strong, the cabinet use adjustable back brackets to support in the ground, not only can adjust the viewing angle depend on the viewers, but also fix the cabinet when it being hited. Soft Pillow, the stadium LED display use soft pillow on the top of the cabinet with the same width as the cabinet to provide double protection for LED display and cabinet from the hitting or objects such as baseball, baseketball, or others. Easy transportion, installation, assembly and disassembly with suitable weigh and back brackets. High hardness Die-casting Aluminum maded, the weight is light, easy to move from this stadium to another stadium. 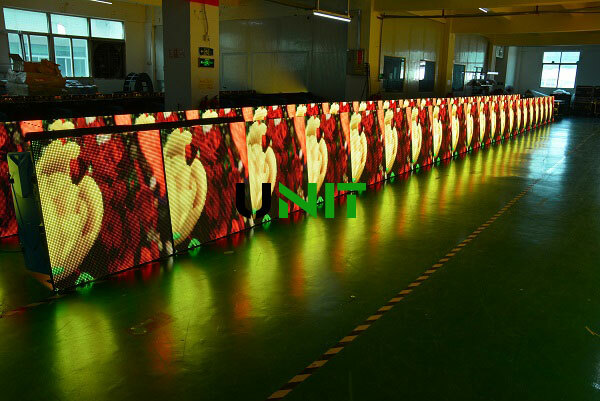 High brightness, the LED display adapts latest SMD LED Encapsulation and Nation star LED to ensure the LED screen with excellent visual effect. Various Pixel is available with P5mm, P6.67mm, P8mm, P10mm, change pixle pitch without chage cabinet structure. Ultra high brightness to meet stadium LED display application and events. 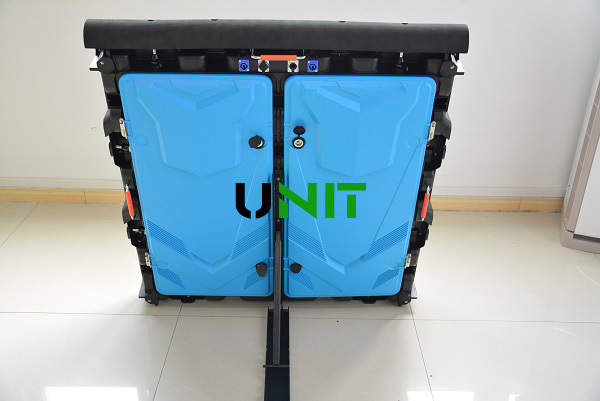 Double protection with soft module mask and soft pillow on the top of the cabinet to provide ultra saftey for players and LED display. Equipped with back brackets to offer besting viewing angle with adustable features. Fast lock design to offer seamless fatness without any gaps in the LED display. 3 year Warranty and professional tech support with good after-sale service. 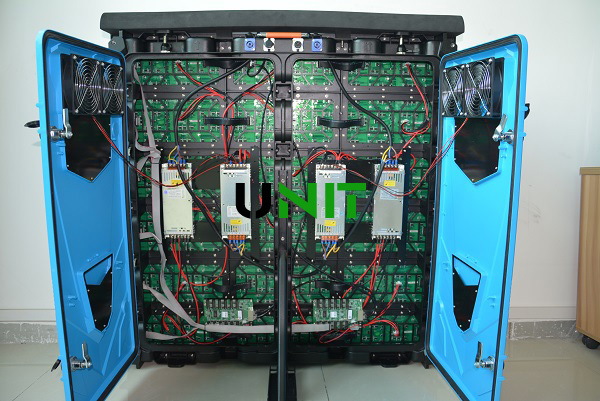 To prevent damage from players and objects, also to protect players, UNIT stadium LED display adapts soft mask to design the LED display panel. 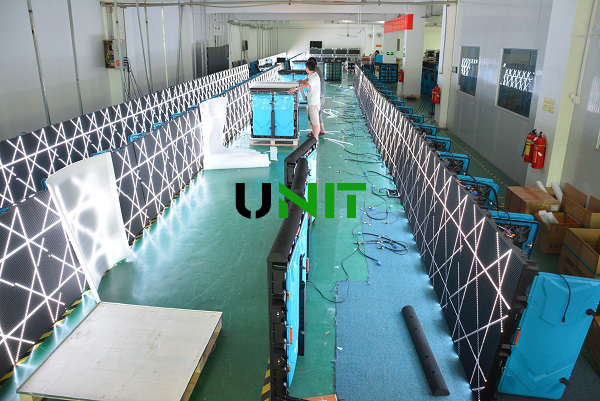 UNIT stadium LED screen cabinet equipped with one steel made back bracket to adjust the cabinet angle to offer best visual experience for viewers and audiences. 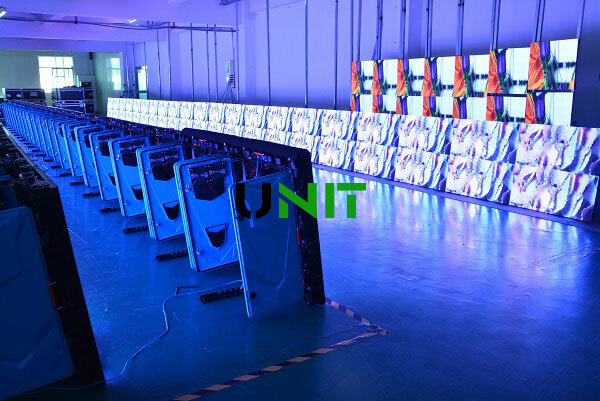 UNIT stadium LED display cabinet unique structure provides the best waterproof control with IP65 level to ensure the LED display can work in rain envrioment.